Polish and Charms: Franken Friday! Hello Hello! I have another franken to show you today. As you may remember, earlier this week for Twinsie Tuesday (you can see that post here), we did a post about a hyped up polish we were disappointed by. I chose NOPI Follow Me On Glitter. I was disappointed by it because the multicolored glitter just didn't show up. Well I decided to see what I could do with it and came up with this. I didn't catch that little piece of glitter until the pics! This looks a little rough, but I hadn't added topcoat yet. I poured some of the NOPI out and added the rest to an empty bottle. Then I added a little silver glitter and then a ton of multicolored glitter. 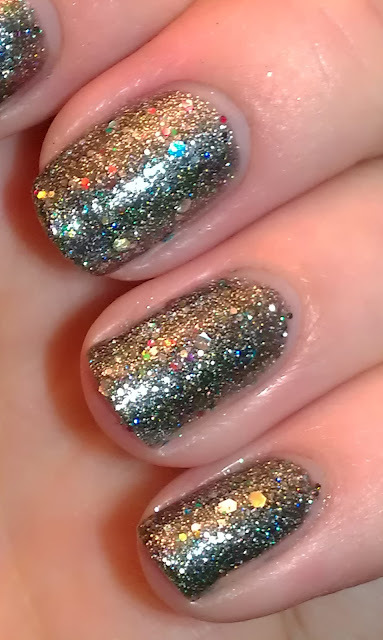 I also added some holo polish, but you can't really see it. This is exactly how I wanted the original polish to be!!! I love it now!!!!!! It looks a little rough, but topcoat really smoothed it out! Gorgeous franken! Love all those colors! BEAUTIFUL! It can totally go with the CG Prismatics collection! Thanks! You should!!!! It's actually pretty fun! Wow this is really amazing, great stuff! This looks like it belongs in the CG Prismatic Collection! Fantastic! Thank you! You are the second person to say so! Great job! Yay for franken friday! Omg! This is pretty. It turned out very good! This is really blingy! Very nice! you took a beautiful polish and made it spectacular! Thank you! I'm going to have to have my mom get me another bottle of the cheapo glitter! Ohh this is so pretty! just fell in love with these nails!! LOVE glitter nail colors!! Just thought you'd perhaps like to participate on a beautiful 3 ring giveaway we're hosting on our blog! 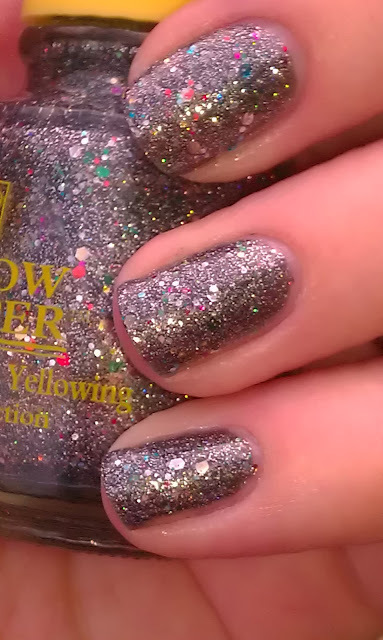 I love that you went ahead and added the glitter you were looking for in the original polish! To me it was the easiest thing since I had just received a bottle of small multicolored glitter! Hi dear! So great this colors :o)!!! It looks so univeres... 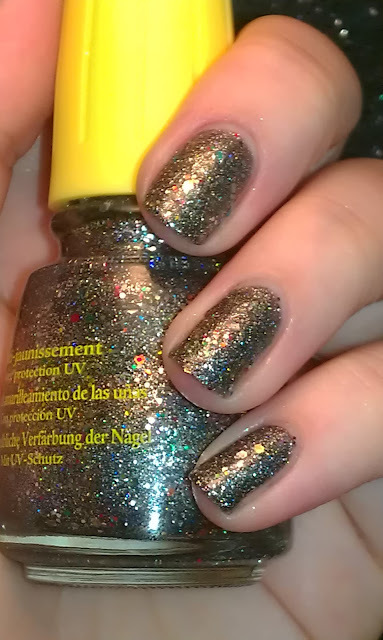 I love glitters! See you soon. Xoxo V.V. BTW! I just tagged you for a blog award. Ooooh! This is a good'n, great creation Meredith! Your a wicked genius! It looks amazing! Haha, never been called that before! Thank you so much!